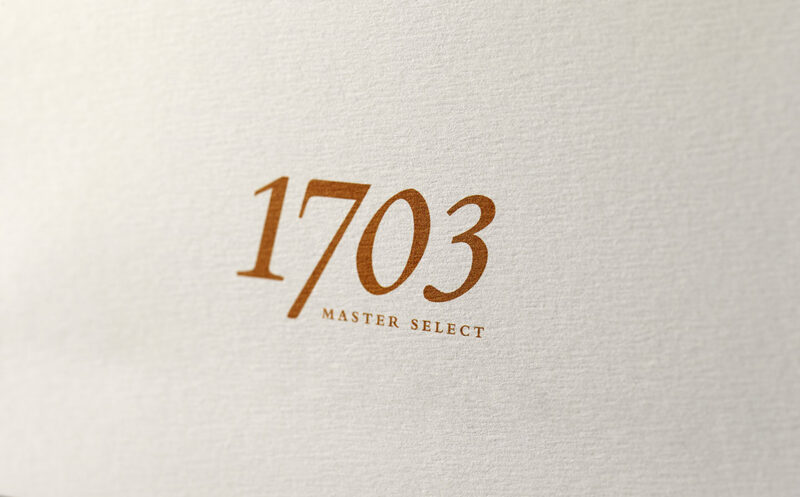 The 1703 Master Select blend features a blend of copper column and copper pot rums from Mount Gay’s oldest reserves – ranging from 10 to 30 year old rums – created and hand-picked by Master Blender Allen Smith. 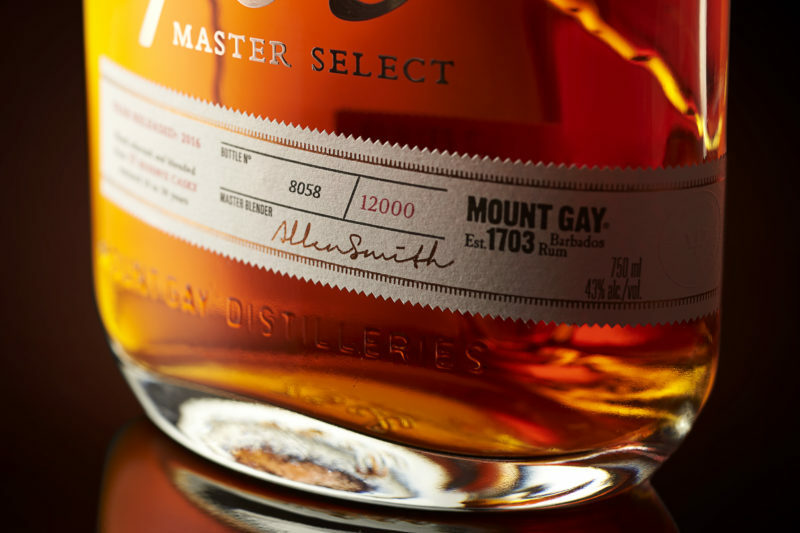 Due to overwhelming demand and the scarcity of Mount Gay’s most mature casks, the company releases just one batch of 1703 Master Select annually. 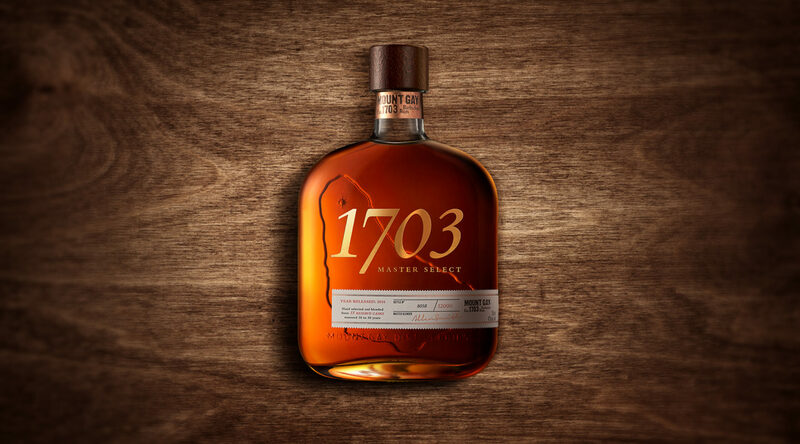 Approximately 12,000 bottles will be released worldwide as part of this year’s small batch, which was selected, bottled and labeled individually by hand. 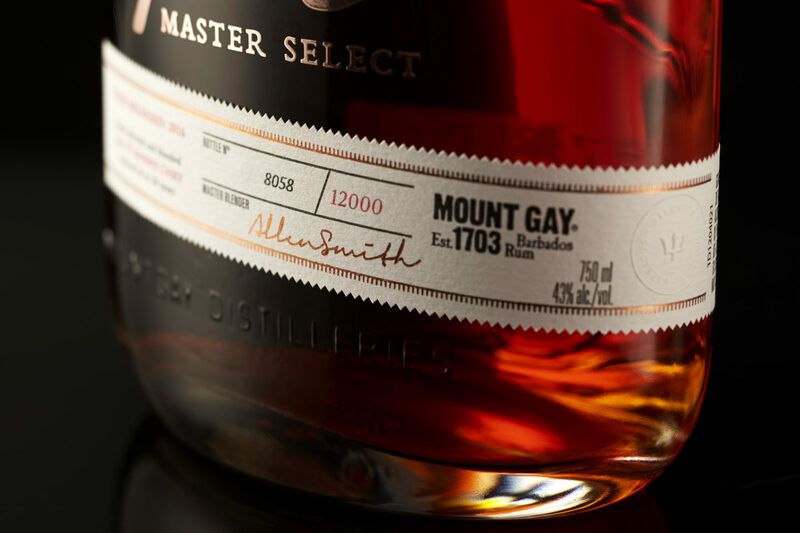 Reflect the current position at the top tier of the Mount Gay portfolio. Align the product's image with the increase in price point of US $150. Position as a desirable gift-giving option. Emphasize the craft and history. 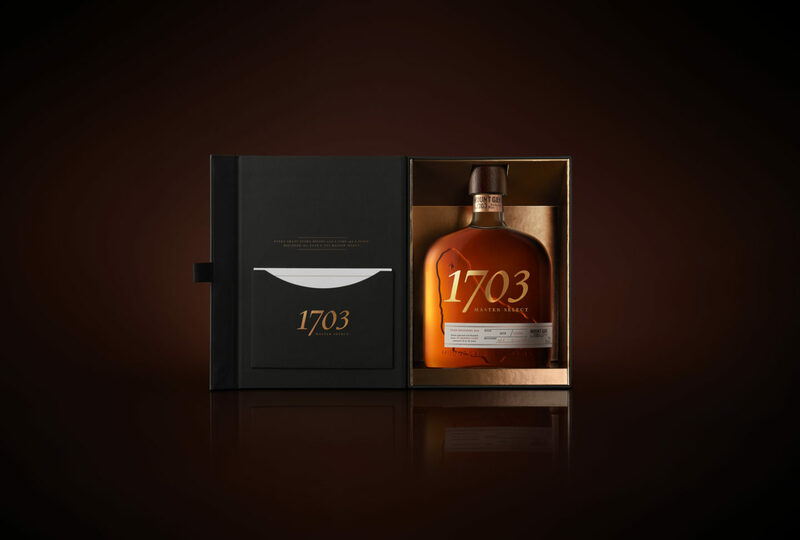 Create a packaging system that allows for future blends adaptations. Our consumer is an explorer at heart. His drive to uncover the road less traveled attracts him to intriguing experiences and brands that can fulfill that purpose. 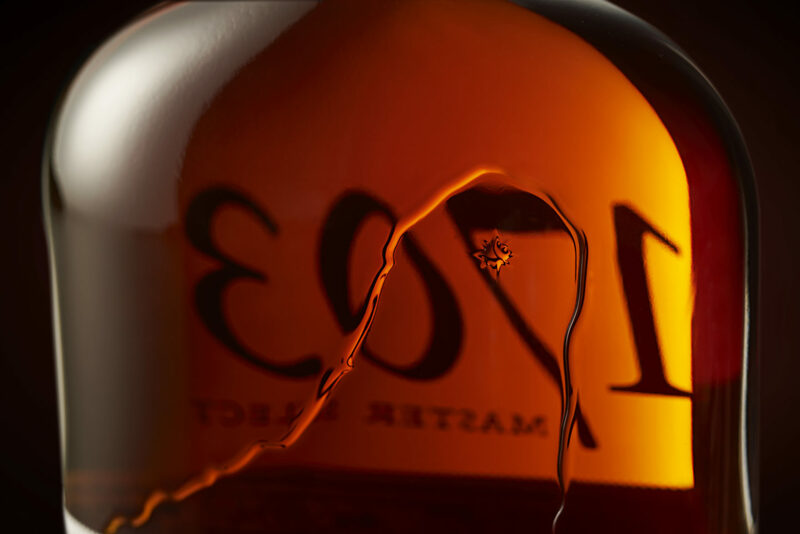 To him, a brand should have a story worth discovering and retelling. He understands the connection between craftsmanship and authenticity — and has gained an appreciation for design and nuanced details. It’s not about showing off, but rather living a distinctive life and sharing it with those around him. 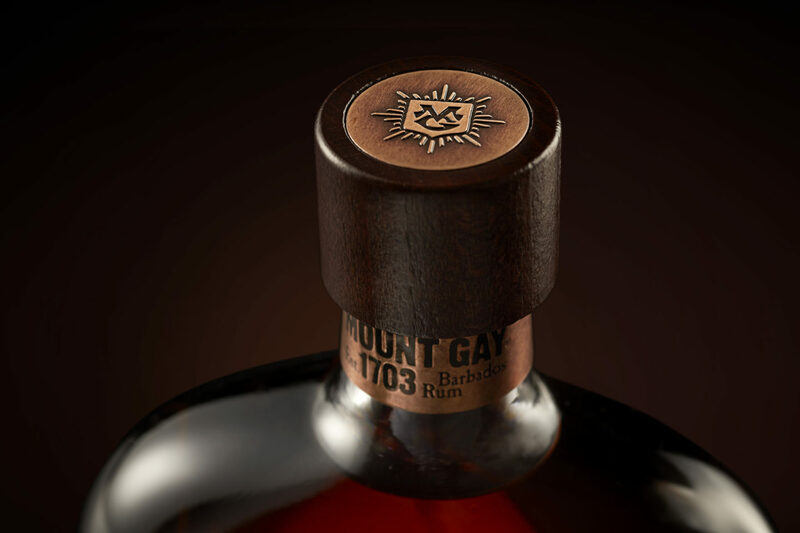 Mount Gay Rum’s authentic heritage allows for a variety of rich and engaging brand stories. 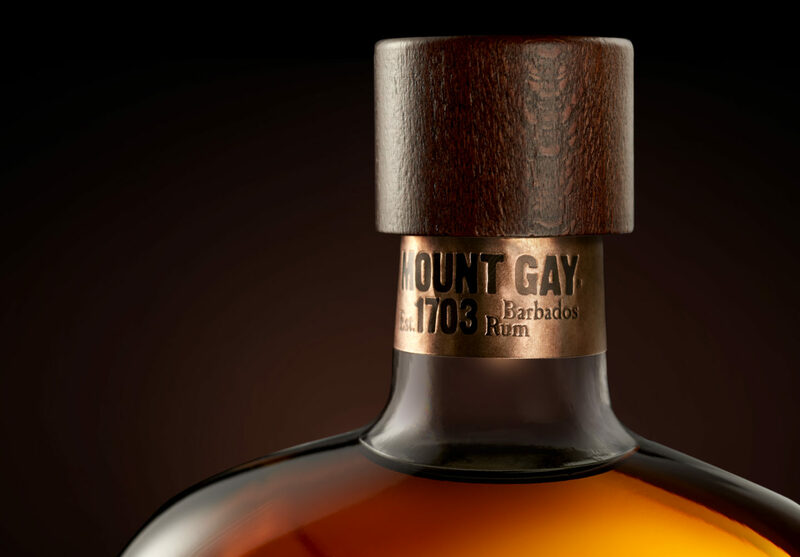 We wanted to use this rich history to create a deeper connection with the consumer by capitalizing on core Mount Gay equities and emphasizing selected brand messages and premium cues. 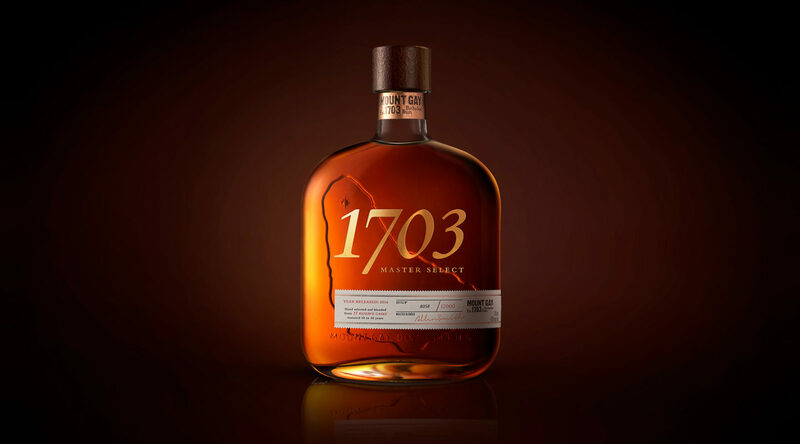 As we consider this opportunity – in terms of both strategy and design – we want to ensure all brand components (bottle, label and box) work in unison to position 1703 within the portfolio and the category. 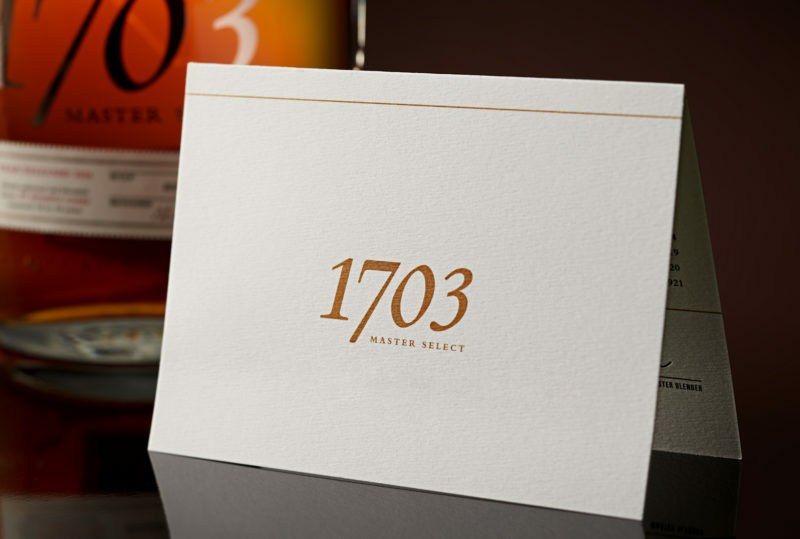 The redesign aimed to strengthen the connection of brand heritage and convey a premium status. Individually numbering the bottles and listing the 55 casks used the create the blend reinforces the rarity and premium status. 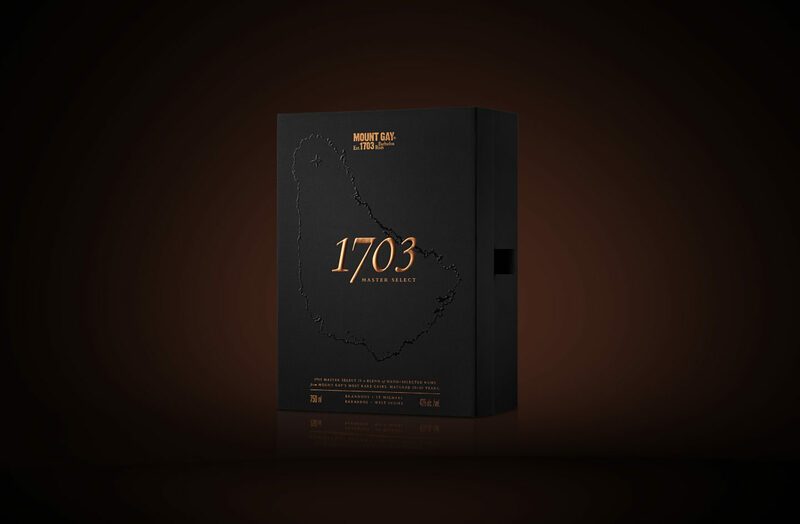 Select messaging on the primary and secondary pack tells the captivating story of 1703.